Zynga Inc. is the world’s leading developer in games for social platforms. Zynga develops games for Facebook, Android, Apple, as well as their site Zynga.com. The company is best known for its franchises FarmVille, Zynga Casino, and Words With Friends. Their games are played by 100 million monthly consumers, and their games have reached over 1 billion people worldwide. However, Zynga has seen a steady decrease in active users since the company’s peak in Q2 2012 as seen in the chart below . Zynga has always stuck with the idea that games should be free and social. The main revenue for Zynga comes from advertisements. While the games are free for users, there is premium in-game content that users can purchase, creating another revenue stream for the company . Zynga founded zynga.org, an organization using the social gaming platform to raise money for charity. The organization uses in-game purchases in games like FarmVille, and has used the proceeds to help with disaster relief in Haiti, Japan, and other countries . Zynga Inc. was founded in 2007 by Mark Pincus and six other co-founders who are no longer with the company. 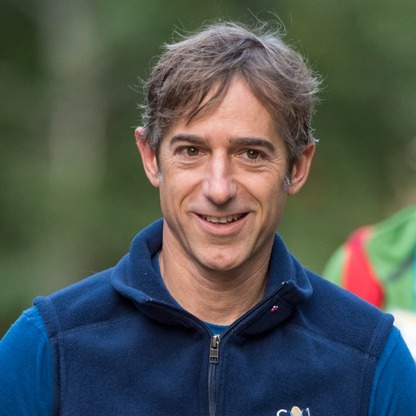 Pincus founded the company with one mission: “connecting the world through games” . Pincus founded Presidio Media in April 2007, but in July of 2007, changed the name to Zynga– a name to honor his American bulldog, Zinga . Zynga started out on MySpace, during a time where other ad-based games saw success. Pincus was smart enough to predict that Facebook would be the future, and immediately shifted platforms for his brand new company. In 2007, Zynga released its first game, a free social poker game, for Facebook. In 2008, Zynga released Mafia Wars, a highly successful free-to-play game. Since then, the company has seen success with franchises such as Words With Friends and Farmville . Zynga Inc. went public in 2011 and saw an early increase in stock value. However, as many of their consumers moved to mobile device, and their online games saw less active users, the value decreased . The company saw a loss of $25.2 million, which is an average of three cents per share. They saw a smaller loss than they did in 2012 however, in which the company lost $48.6 million, or six cents per share. Their sales also dropped in Q4 2013 by 43%, from $311.2 million to $176.4 million . Unfortunately, the financial reports for Q1 2014 will not be released until April 23. However, Zynga’s stock value rose from January to March, and since March 12, has been slowly declining. The value’s peak this quarter was at 5.29 per share on March 12. Currently, it is just over 4.00 per share . According to analysts, the reason for this is that Zynga’s main competitor, King Digital, went public in mid-March . King Digital produced the popular game Candy Crush and while their IPO was a dud when they went public on March 26, Zynga stocks were affected by the competitor’s decision to go public. Zynga acquired NaturalMotion, a United Kingdom-based gaming company, on January 30, 2014. NaturalMotion has developed the games CSR Racing and Clumsy Ninja, among others. The deal involved $391 million dollars and 39.8 million shares in Zynga stock . Kim-Mai Cutler of Tech Crunch believes that the deal was very smart for Zynga and that it will be beneficial because “Zynga gets a good portfolio of current and upcoming games, a character with real franchise potential in Clumsy Ninja, a middleware business and a 260-person gaming company that is culturally focused on quality” . Zynga announced on April 10 that its veteran CFO and CAO, Mark Vranesh, would be leaving the company. Vranesh had worked for Zynga for six years, and became the CFO in 2012 . Replacing him was David Lee, the senior vice president for enterprise finance at Best Buy. Lee officially started working on April 14, reporting directly to CEO Don Mattrick. Vranesh will be helping Lee through the end of April to ensure a smooth transition for the company . It is not clear at this time where Vranesh will take his career next. Developed by the Zynga Casino team, Riches of Olympus is a mobile slot-machine game emulating Las Vegas style and quality. The game is available on the Apple Store, as well as Google Play. According to the official Zynga press release, the game will feature innovative mobile slot mechanics, such as sticky wilds, mega stack symbols, unique reel arrays and burst wilds . Hit it Rich! is Zynga’s flagship social slot franchise. The game features addictive gameplay and releases different versions that include characters from popular films, television shows, etc. In March, Zynga released a version of Hit it Rich! feauring Ted, the talking stuffed bear from the popular R-rated comedy . This was an interesting choice of a character, as Ted was released in 2012 and its sequel is not due until 2015. Hit it Rich! FarmVille follows the same philosophy of the previously mentioned Ted edition, however this edition of the popular Zynga game promotes their own brand. This title was released just a week before the FarmVille 2 mobile game. Together the two franchises had reached 750 million users, so it was a logical step to combine the two . Zynga released FarmVille 2: Country Escape, the first mobile-entry in the popular FarmVille franchise. The game was built from the ground up for the mobile experience, with touch controls designed to ease the use of planting crops and interacting with animals. Users manage their own farms, can visit their friends’ farms, and send crops and animals to connected users. For the first time the series’ history, users can play the game without an internet connection. The title is available on the Apple Store and Google Play . 2014 marked the fifth year anniversary for the popular Zynga title, Words With Friends. Since its conception in 2009, the title has had as many as 55 million matches going on in a single moment . This game is essentially a social version of Scrabble, allowing players to connect around the world and take turns earning points for placing words on a virtual board. FarmVille will turn five this year as well . The company has been celebrating the birthday now that the latest FarmVille title has released. In addition to the milestone of their titles, Zynga has made history of its own. Edwin M. Lee, Mayor of the City and County of San Fransisco named April 18, “Zynga Day” . Under CEO Don Mattrick, who formally worked with Microsoft and Xbox, it is clear that Zynga is refocusing on the games that make the company unique. The acquisition of NaturalMotion was a smart move to help strengthen their game catalog, and hopefully this and the corporate restructuring can boost them over their competitors. Langley began working at Universal in 2001 as the senior vice president of production. After being named Chairman of Universal Pictures in September 2013, she assumed the role of overseeing the production and distribution of the company’s feature films. Since the beginning of her tenure at Universal Pictures, the studio has experienced some of its most lucrative successes. Because of this success, Cole was named Executive Vice President of Media in 2008. She now oversees all strategic activities for the marketing and distribution of the studio’s feature films. Posted in Film Companies, Film Distribution Industry, Film Production Industry, TRF235 Fall 2013	| Tagged Back to the Future, Benjamin Bratt, Bourne, Box Office, CinemaScore, Comcast, Despicable Me, Despicable Me 2, Donna Langley, Dwayne Johnson, Fast & Furious 6, Fast & Furious 7, General Electric, Hulu, Jurassic Park, Kristen Wiig, Malcolm D. Lee, Monica Calhoun, Morris Chestnut, movie distribution, movie studio, NBCUniversal, Netflix, Paul Walker, Regina Hall, Ron Meyer, Steve Carell, Suzanne Cole, Taye Diggs, Ted, Ted 2, Terrence Howard, The Best Man Holiday, Universal Pictures, Vin Diesel, Warner Bros.
For Universal Pictures the most surprising, successful, and highest grossing movie of the year came in the form of a stuffed animal teddy bear and it wasn’t the family friendly kind either. Ted, the R-rated comedy starring Seth MacFarlane, Mark Walhberg, and Mila Kunis, became the highest grossing R-rated comedy of all time and the first to gross over $500 million in the box office. [iii] The budget for Ted is $50 million and it is also the 8th highest grossing movie of the year. [iv] The movie becomes available to own on December 11th, just in time for the holidays. Since its release on September 28th, Pitch Perfect has become the second largest earner in musical comedy history at the box office behind School of Rock. Starting with a budget of $17 million, Pitch Perfect has grossed just over $63 million thus far. [viii] Behind the directing of Jason Moore and a strong performance by Anna Kendrick the movie was well received by critics and got an “A” CinemaScore on an A+ to F scale. The DVD and Blu-Ray will be available on December 18th. Universal Pictures is looking to dominate Christmas weekend, as it is the only studio releasing a movie on December 21st and Christmas Day. The first movie will feature Judd Apatow’s return to the director’s seat in the kind of sequel to Knocked Up called This is 40. Apatow is the mind behind some of Universal’s biggest comedy hits, the for mentioned Knocked Up and The 40-Year-Old-Virgin. This is 40 stars Apatow’s wife Leslie Mann and Paul Rudd. Critics have met the movie with great reviews, its over 80% fresh on Rotten Tomatoes. Universal also began a couple major marketing campaigns for some of its 2013 movie releases. In late October they released the first trailer for Despicable Me 2, the original film was a big hit, grossing $543 million worldwide in 2010 and spawned an Orlando theme park ride. [xvi] In September the company released its first look of the comedy Identity Thief, the studio moved the release date of this movie from mid-May to February 8th. [xvii] The trailer with the most buzz is from Jurassic Park 3D, the studio is releasing the classic April 5th. 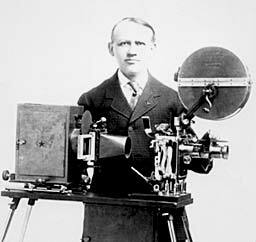 In 1915, German-American Film pioneer, Carl Laemmle, founded Universal Studios with the help of Abe and Julius Stern. The trio constructed two movie sets on a former chicken farm in Los Angeles California. Ninety-eight years later, 100 Universal City Plaza Drive in Los Angeles California remains the home of Universal Studios. Today Universal Pictures is spearheaded by several accomplished and capable leaders, including James Schamus, Jimmy Horowitz, Cindy Gardner, Adam Fogelson, and Rick Finkelstein. PR Newswire has reported that Universal Pictures will release its Despicable Me 2, trailer on iTunes today. The occurrence marks the first time that the studio has released a trailer on iTunes with international versions available within the same 24 hour period. This development perhaps illustrates the studio’s continued technological and global advancements. Despicable Me 2 hits theaters on July 3rd 2013. Universal will attempt to play off of the success of Despicable Me, which raked in a total domestic gross of $251,513,985 in the summer of 2010. Look for Despicable Me 2 to make a big splash this summer. 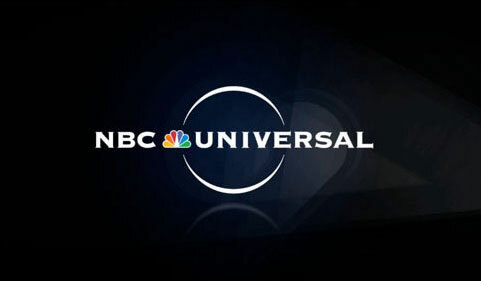 The upcoming winter and remainder of 2012 appears to be promising for Universal Pictures. On December 21st 2012, This is 40, a film written and directed by Judd Apatow, will be widely released in North America. The highly anticipated Les Miserables, will premiere on Christmas day and the Osama Bin Laden murder thriller, Zero Dark Thirty, will be released two and a half weeks later. A fitting end to a record-setting year seems to be in store for Universal Pictures.